The Thornton Hunt Inn is a traditional Freehouse set in an attractive grade II Listed building. The Inn is situated in the quaint village of Thornton Curtis on the A1077, approximately 5 miles from Barton-upon-Humber. On-line bookings are available through our web site. Mention “BedPosts” and you'll get a hearty greeting. Visit Ulceby Lincolnshire and the surrounding villages and stay in bed & breakfast, hotel or holiday apartment accommodation provided by BedPosts members. Ulceby, in North Lincolnshire, is a pretty little village. It has an attractive brick church called St. Nicholas and a railway station. There are pleasant country lanes for walking. 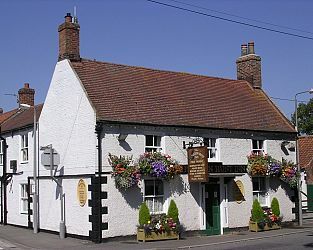 If you seek accommodation near Ulceby in Lincolnshire you have come to the website of a “club” of providers who offer affordable quality accommodation around UK in hotels, bed and breakfasts, guesthouses, inns, and restaurants plus self-catering cottages and apartments .